An office staple - perfect for promoting your message or logo! This mouse pad is perfect for trade shows and corporate events. A useful way to show off your design! These colors require a minimum order of 50. We have hundreds of products to make your group look great. 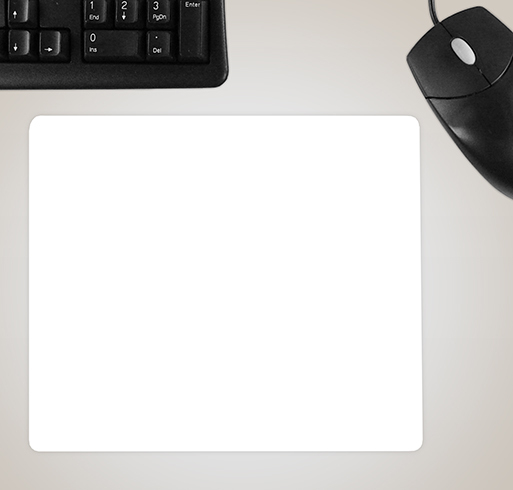 Custom mousepads are an ideal way to promote your business or organization! Need mouse pads that highlight your logo and phone number? We can do that for you—easily and accurately. Our online design lab features tens­-of­-thousands of high­-quality graphics, with a variety of designs and artwork. There’s also hundreds of fonts for you to choose from and uploading your own graphics files onto your mousepad design is super easy. At Custom Ink, standard shipping is always free, which guarantees we’ll have your order to you in 2 weeks or less. Or, rush your shipment for an even quicker turnaround. And if you need help, our sales team is available 7 days a week via phone, email, and chat.